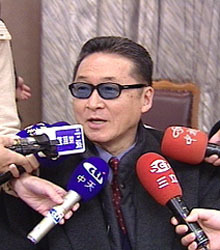 Li Ao is a prominent Taiwan writer, outspoken TV commentator, historian and lawmaker. He is well known by mainland intellectuals for his satire, sharp commentaries and poignant criticism. Li was born in the city ofHarbinin Northeast China and grew up inBeijing. At the age of 14, he moved with his family toShanghaiand from there to Taiwan in 1949. In high school, Li was a star student. However, the prodigy suspended his schooling in his senior year -- he was disgusted with the "suffocating" education. 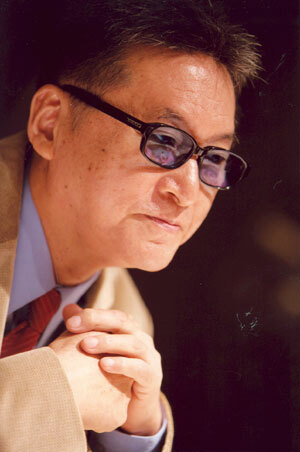 In 1959, he enrolled in National Taiwan University (NTU) and studied Law and History. After graduating, he served as a reserve army officer for year and a half. He then went back to the History Research Institute for additional studies. But he soon decided to drop out before ending up as a scholar, and developed a reputation as a tongue-in-cheek "lunatic" when he began writing articles that revealed the dark side of the school and said he was not happy about studying there any longer. Li was credited for his contributions to the democratic movement in Taiwan between the 1960s and 1980s. In 1963, Li's first publication, Monologue under Tradition, came out. In the book, he expressed his distinct philosophical differences with mainstream and traditional values by quoting widely from historic materials. Li was the editor-in-chief of Wenxing magazine in the 1960s, which promoted democracy and personal freedom. The audacious writer was in sharp opposition to Kuomintang authorities. He was jailed by the infuriated Kuomintang government for more than eight years. Throughout the 1970s, Li received great international attention for as a political prisoner. After his release, Li continued to publish magazines and newspapers, still highly critical of the government. In the 1980s he also sponsored numerous other anti-government magazines. Ninety-six of his books were banned in Taiwan before 1991. He is considered by some to be one of the best Chinese writers today. He wrote at an amazing rate -- for ten consecutive years he wrote one book per month on average without interruption. His novel,Mountaintop Love, about a mother and daughter who fall in love with the same man at different times, solidified Li's status as a serious novelist. 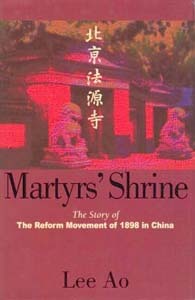 Another Li novel,Martyrs' Shrine: The Story of the Reform Movement of 1898 in China, about the beginning and the failure of the Hundred Days' Reform, earned a Nobel Prize nomination. Li also published his autobiography in 2001, revealing more than 10 personal romances. Martyrs' Shrine: The Reform Movement of 1898 in Chinais based on the events of the Hundred Days' Reforms' movement. It has as its main characters several of the leading Chinese intellectual and political figures of the late 19th and early 20th centuries - Kang Youwei, Tan Sitong, and Liang Qichao. As the novel progresses, the reader is swept into the tumultuous events of 1898 and the Chinese struggle for political reform. The more-than-100,000-word novel was written in the early 90s. The writer integrated into the writing his own experience of a thought pursuer through ups and downs and life as a dissident politician facing numerous lethal risks and dangers. Martyrs' Shrine: The Reform Movement of 1898 in China is considered to be one of the most important Li works. Li penned his sharp thoughts on history and philosophy in this novel, making it more like a dissertation. And the characters in the novel are the real historic figures that left an unforgettable influence of varied degrees on China's history. In his writing, Li does not seem to follow the traditional format of novel writing, plot knitting and building up of characters. Instead, dialogue is exploited throughout to present events in what characters stand out and the plot is unfolded. What's unique is that each piece of dialogue also serves to reflect Li's own commentary on history.